Tracks 2, 5, 6 & 7 are credited as Public Domain. 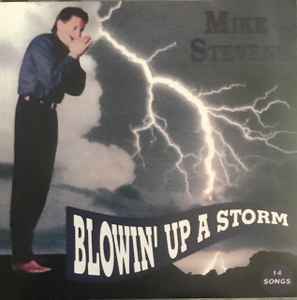 Track 5 is credited as 40% PD and 60% Mike Stevens. Track 13 is credited to Robert Jones but I can't find a reference to it on Discogs. Track 14 is miscredited to George and Ida Gershwin. Not sure about the credit to Robert Jones (17). He is credited with an album with Mike Stevens (12)? here on Discogs called Blues so I went with it. I don't have that release so I won't mess with that one for now.